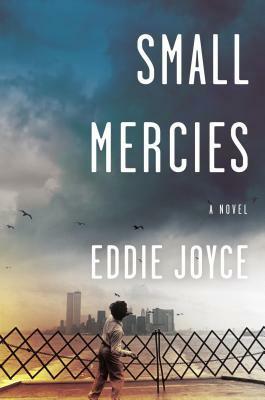 Today I'm featuring my current read, Small Mercies by Eddie Joyce, which I borrowed from the library . . .
Gail wakes with a pierced heart, same as every day. Her mouth is dry. She reaches for the glass of water on her nightstand, but it has warmed in the night. Next to her, Michael gently snores away last night's fun. Small Mercies explores the lives of the Amendola family members--from the beginning days of young romance and budding dreams to the aftermath of coping with tragic loss, the death of their loved one, a New York City firefighter killed in the 9/11 terrorist attack on the World Trade Center. First Chapter ~ First Paragraph #118 was originally published by Catherine for bookclublibrarian.com. This post cannot be republished without attribution. Retweeting and sharing on Google+ encouraged.